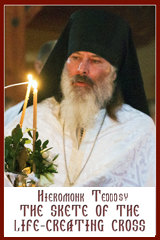 The collection also assists the Metropolitan Andrey Sheptytsky Institute of Eastern Christian Studies, Toronto, which serves the Ukrainian Catholic Church in Canada by providing academic and spiritual formation for our future Church leaders. The annual Synod of Bishops of the Ukrainian Catholic Church will take place from September 2-11 in Lviv (Briukhovychi). This year’s theme is “The Word of God and Catechesis,” which builds upon Vision 2020 and the Vibrant Parish Spiritual Renewal Program. Please pray for our bishops that the Holy Spirit may grant them wisdom and guide and bless their episcopal pastoral ministry, at service to the Church and for God’s greater glory. The 75th Annual Plenary Meeting of the Canadian Conference of Catholic Bishops will take place from September 24-28 in Cornwall, Ontario. Please pray for our bishops that the Holy Spirit may grant them wisdom and guide and bless their episcopal pastoral ministry, at service to the Church and for God’s greater glory. The 85th International Holodomor Memorial Day will take place on November 24. For 85 days prior to the Holodomor Memorial Day, Ukrainian communities around the world will participate in an international action: “Light a Candle in Remembrance!”, organized by the Ukrainian World Congress, Beginning September 1st, the first candle will be lit in a Ukrainian city, and everyday in a different part of the world a candle lighting ceremony will take place.Light a Candle in Remembrance! will take place in Alberta at 7:00 pm, September 21, Saint Josaphat Cathedral, where a Panachyda will be celebrated, during which the names of 85 Holodomor victims will be read. The event is sponsored by the Ukrainian Canadian Congress – Alberta Provincial Council.The annual Holodomor Commemoration will take place as usual at 12:30 pm, November 24, at City Hall, City of Edmonton. All are invited to the official Opening and Blessing of Holy Spirit Ukrainian Catholic Seminary with the Ukrainian Catholic Bishops of Canada on Saturday, October 13. 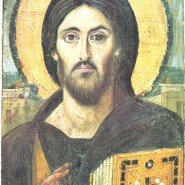 Divine Liturgy will be at 10:00 am followed by a small reception. All are invited. Seminary location: 12909 113 Avenue NW, Edmonton. Please RSVP to 587-460-6031 before October. Pope Francis appointed His Eminence Gérald Cyprien Cardinal Lacroix, Archbishop of Québec and Primate of Canada, as his special envoy for celebrations marking the beginnings of what is today the Archdiocese of Saint Boniface and 200 years of evangelization in the West and North of Canada. At the end of the Eucharistic celebration, his Eminence also delivered a Message, sharing the thoughts and closeness of Pope Francis (ENG). His Beatitude Patriarch Sviatoslav was the Keynote Speaker at the State Dinner of the Knights of Columbus Supreme Convention in Baltimore, MD. A copy of Keynote Address is attached (English and Ukrainian). Pope Francis has responded to new reports of clerical sexual abuse and the ecclesial cover-up of abuse. In an impassioned Letter addressed to the whole People of God, he calls on the Church to be close to victims in solidarity, and to join in acts of prayer and fasting in penance for such “atrocities”. The Executive Committee of the Canadian Conference of Catholic Bishops published as Statement in response to the Pennsylvania Abuse Report. The Alberta-NWT Catholic Bishops issued a Pastoral Message regarding the Pennsylvania Abuse Report. We continue pray for the victims of sexual abuse and their families. And we continue to strive ever more so for Safer Environments in our parishes and communities.